AirPlay Direct is pleased to announce that Mark Hodges, President / CEO of Mountain Fever Music Group has been honored with AirPlay Direct’s “Iconic Innovator” Award – 2019. AirPlay Direct’s “Iconic Innovator” Award honors the visionaries who have openly embraced digital innovation in the music industry. 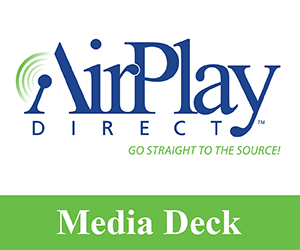 The AirPlay Direct “Iconic Innovator” Award is presented annually to the member of AirPlay Direct that has proven vision and best executes upon the opportunities that digital innovation in the music industry has and continues to create. As an integral component to the “Iconic Innovator” Award, AirPlay Direct is honoring Mr. Hodges with a $50,000 AirPlay Direct “Marketing & Awareness” Campaign to accelerate his on-going brand development and global radio distribution footprint for his label group’s new releases and catalogue. “I’m humbled and honored to be named AirPlay Direct’s 2019 Iconic Innovator. I’ve never considered myself to be iconic, but I have tried to be an innovator,” said Mark Hodges, President / CEO, Mountain Fever Music Group. “I started Mountain Fever Records because I love creating and sharing great music. 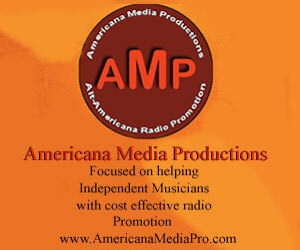 Over the past decade this passion has grown as I find joy in helping talented artists share their music with the world. AirPlay Direct is one of the important ways we make this happen. Hodges further states, “Here at Mountain Fever & Travianna we stay positive. We focus on doing what’s right, and I believe this has allowed me and our organization to win the trust of some of the best talent in the bluegrass market. 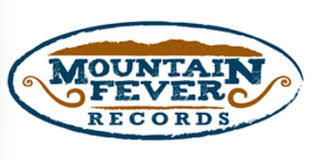 About Mountain Fever Records: Mountain Fever Records was founded more than a decade ago almost by accident. After helping friends and neighbors with their recording projects as a hobby, founder Mark Hodges decided it was time to build a new recording studio. The building that houses Mountain Fever Studios was built with incredible attention to detail and sound quality. It was completed in 2008. Since then, Mountain Fever Studios and the ensuing Mountain Fever Records have become known as a standard of quality in the production and recording of Bluegrass music and other genres. planted and all of the ways that it grows. From blues to ballads, from roots to reggae, from tradition through its transformation, this label fuses your favorite music together without privileging one kind over another. It simply lets them blur and blend and allowing the best of the evolution to shine through. It’s our commitment to quality that sets Mountain Fever Records and Travianna Records apart from the others. It starts with outstanding artists and follows with clever songwriting, thoughtful production, efficient recording, organized promotion, and valuable relationships that inevitably bring quality results.